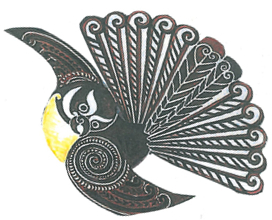 Te Rōpū Pīwaiwaka: session for Early Childhood groups; so named because of the nature of our native bird, the Fantail. The chirpy focussed Te Reo sounds, spoken and sung coupled with library craft experiences, capture and extend listening, singing, grammar and cognitive skills of the children, supported by the adults. The sessions are 80% Te Reo, appropriate for the age of children supported by the staff from Ngā Kohangā and ECE centres. Sessions – school term Tuesday 10:30 to 11:30 am. Ma te pa ka taea te whakatipu te tamaiti – It takes a village to raise a child.